It’s really no secret that your non-profit’s or association’s board of directors is pivotal to your organization’s success. Your board of directors are the standard bearers…foundation builders…strategic plan developers and managers…chief cheerleaders and fundraisers. They steer the organization towards meeting its mission, ensure its financial stability and are the public face of your organization. For small, volunteer-led organizations, the board may also be responsible for day-to-day operations as well. So it stands to reason that the more effective your board meetings are, the more likely it is that this group will be successful in keeping the organization on track and taking care of all of that important business. If you are the staff person coordinating the board of directors at an association or non-profit, or you are a Board Chair of a volunteer-led organization, here are some tips that might help ensure successful board meetings. 1. Starting with clear expectations leads to smooth sailing. You may be rolling your eyes at this one – sounds pretty obvious right? You need to set the bar in order to see achievement. That’s why it is important to establish expectations for both the board as a whole, as well as each individual member of the board. It’s important to establish role descriptions for board members as they join the board, which include expectations around board meeting preparation and participation. By establishing ground rules for individuals and board meetings, your board team feel their time is being well-spent and well managed. And, as I note in Secret #6 below, without setting expectations and goals, you can’t measure board member or team success. 2. Assigning homework helps meetings move forward instead of looking back. Many high performing boards send agendas and minutes to their members well ahead of meetings and also assign additional “homework” reading and review (e.g., financial dashboards, research materials, etc.). With this prep work done ahead of time, board members can come to meetings prepared to participate in discussions that move the organization forward. 3. Developing focused agendas (and sticking to them!) helps ensure efficient meetings. But don’t be too rigid – after all, there will always be unforeseen issues and you also want folks to enjoy the meeting, not feel harried. 4. Effective meeting minutes can save time and track progress. You’re probably thinking – ho hum, meeting minutes are so boring. As a corollary to focused agendas, minutes are extremely important in documenting the work of board as well as outcomes (e.g., decisions, votes, actions). Clear, concise minutes and supporting documentation can be read ahead of the meeting to remind board members about actions taken, next steps they have agreed to and so on – moving the organization forward between meetings. When done well, minutes can also save time during the meeting – you know that time many groups take in reviewing and recapping issues because there is no clear description from their previous (and possibly long-forgotten) meeting. So raise the bar on the caliber of meeting minutes. If you want a little help, check out our resource in our Membership Knowledge Hub: How To Write Effective Meeting Minutes. 5. Building connections can help develop a team atmosphere. While board meetings should be about dialogue and discussion, based on a shared sense of mission, we’ve all seen the flip-side of teamwork – fractured boards fraught with power struggles. So a team environment needs to be created, nurtured and modeled by the board chair or president, the staff and any other key organizational leaders. Sarah Durham (bigduck) suggests ways in which organizations can help board members connect with the work of the organization. For example: “Devote ten minutes in each board meeting--perhaps over lunch--to something that will help board members feel more connected to your work. Take them on a tour of a new department, walking or through slides. Ask a new employee to come and share their observations. Visit the websites of two or three peer organizations and talk about how your work relates to theirs. ...Board members are rarely close to the work itself… Bridge the divide by sharing pieces that help them feel like part of your world without inviting them to pull up a chair at your desk. Have food and allow time to socialize mid-way through or after the meeting. 6. We all want to know we're doing a good job - so measure board effectiveness. We all want to know if and how we’re doing a good job, including board members. So if you’ve established some expectations of the board team, the meeting process and individual members, you should find a way of measuring success in achieving those objectives. Some boards offer meeting evaluation forms after each board session to get feedback on whether the meeting successfully achieved its goals; whether the minutes and other documentation was effective in preparing members for discussion and decision-making. They may also include feedback on teamwork. Other boards take a less formal approach and have the chair or president check in for “satisfaction checks” periodically during the meeting. It’s important to find a board evaluation approach that fits your organization’s culture. But board members will likely appreciate an opportunity to evaluate the team and its work. After all, they want to know that their valuable time is well-spent and that they are doing the best job possible. 7. Board members who enjoy their role are more committed and also great role models. Set a friendly, welcoming tone at the outset of meetings to ensure board members can feel relaxed and willing to contribute and share their thoughts. While there’s work to be done and agendas to get through, this can be accomplished with a light-hearted approach. While the group has to deal with budgets and financial statements, share stories, photos or videos of the work the organization has accomplished too. Remember, the board members are like the parents of your organization, so they should model behavior or culture for other committees. The bottom line is that if the board enjoys their work, they’ll stay committed. And that’s the best advertisement for future board recruits. 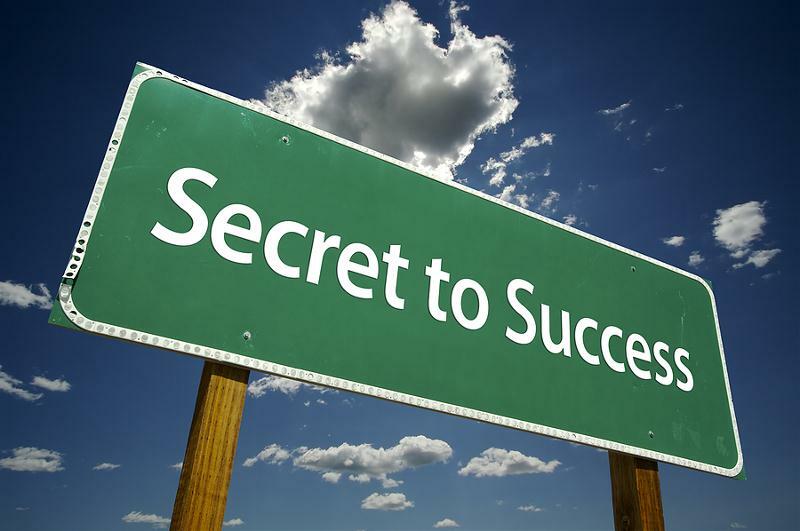 Final secret – it starts with effective board team! The secret to successful board meetings is truly the composition of the team. After all, if you have a diverse group of individuals who are dedicated to your mission, you are already half-way there! Unless someone like you cares a whole awful lot, nothing is going to get better. It’s not. (Dr. Seuss) Remember to always put your passion for the organization’s mission at the forefront of all you say and do. By focusing on the best interest of the mission, you’ll be more likely to make the right decisions. It takes a balanced combination of passion, compassion, and wisdom to move the nonprofit in the right direction. If you want some tips and advice on recruiting committed, effective board members, we’ve just launched a new resource in our Membership Knowledge Hub that might help: Developing a Board Recruitment Process. Do you have any other secrets to share for better board meetings? Let us know in the comments below.